. 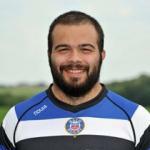 . . Somerset RFU . . . 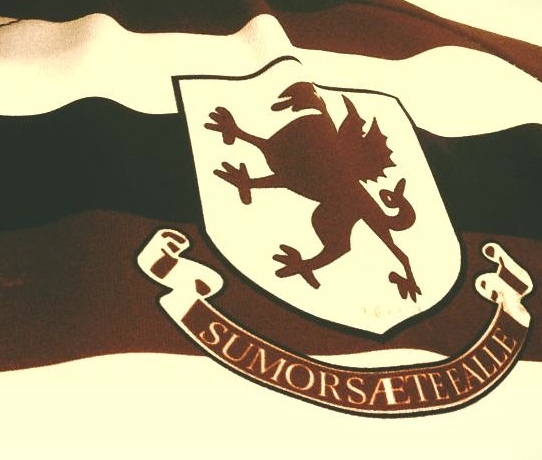 Following the continued success of the recruit and retain funding, Somerset RFU is inviting clubs to complete a second application for financial support for projects aimed to recruit Club volunteers, new players or encourage players to return to the game. This second project application for clubs will be able to receive a maximum of £300 towards the costs involved. There are two templates that need to be completed fully (one for Project details here and one for an Invoice here), but please contact your RDO or CRC if you would like assistance in completing the form and good luck with identifying different and fun ways of increasing your club membership and volunteers! Clubs will need to ensure that there is a review of the effectiveness of the first grant included with their application as detailed on the project application form. 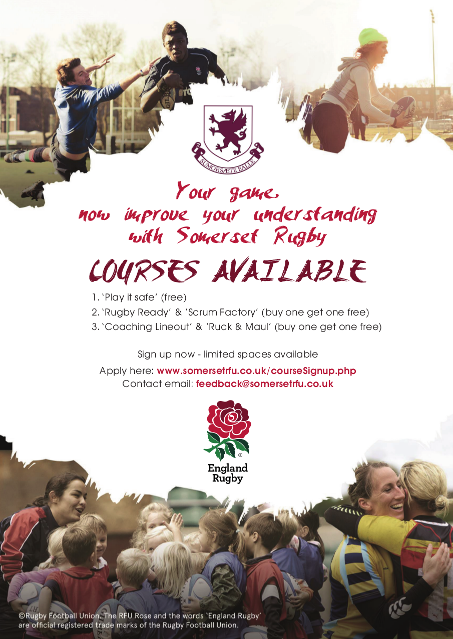 For further assistance please e-mail alison.bennett@somersetrfu.co.uk. NatWest RugbyForce is back for 2019 and clubs are invited to register online. The programme offers a unique and carefully crafted programme for grassroots clubs across the country, including a wealth of advice and support, to ensure that clubs can thrive as strong and sustainable businesses away from the on-pitch action. As the national governing body for rugby union in England and operator of Twickenham Stadium, we’re committed to protecting your personal data and handling it responsibly, fairly and transparently in order to safeguard all aspects of the game of rugby. With the new GDPR (General Data Protection Regulation) coming into force on Friday 25 May 2018, we’ve updated our Privacy Notices to give our fans, players, volunteers and other participants more information about what we do with personal data and the rights you have as an individual in relation to the data we hold on you. The following Privacy Notices available explain what data is used and why. The Regulatory and Governance Privacy Notice sets out what data is used and why – in this case for regulatory and governance reasons as a result of the RFU’s role as national governing body. The England Rugby Privacy Notice sets out what data is used and why - in this case for fans and visitors to Twickenham Stadium and other RFU events. 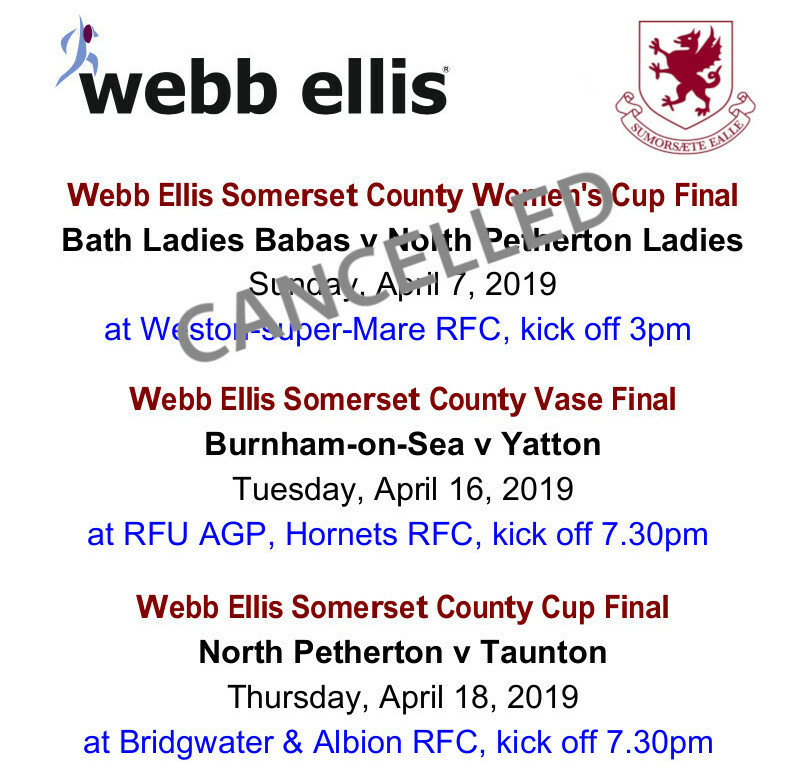 Bath Ladies ‘Babas’ retained the Webb Ellis Somerset County Women's Cupwith a 13-7 victory over North Petherton Ladies in a very evenly contested match, played in heavy conditions, at the Bath Recreation Ground as part of Bath Rugby Foundation's celebration of International Women's Day. International referee Clare Daniels took charge of the game and also gave a talk to those interested in becoming a referee. Our thanks to Clare and her other match officials for giving of their time and support for the event. 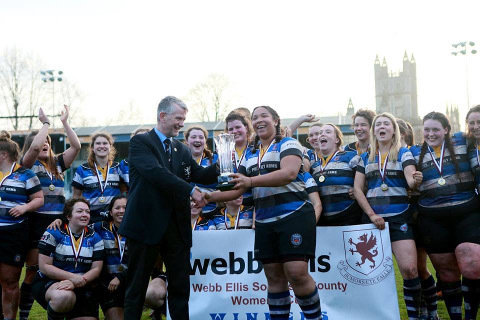 Congratulations to both squads for the great advertisement for Women's rugby in the County and our thanks to the Bath Rugby Foundation for the well-organised event held in some tricky conditions. 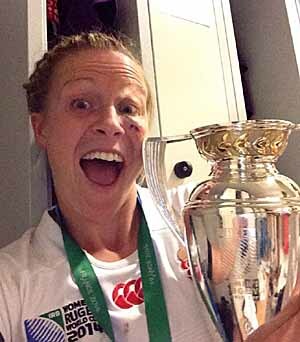 Women’s rugby at representative & development level is managed by Senior Rugby. 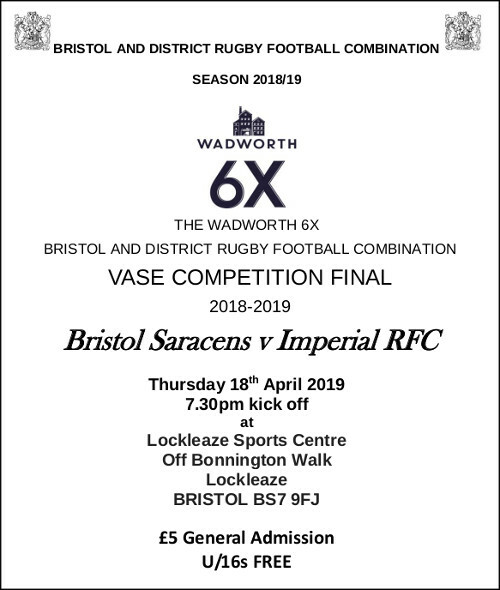 The contact is Mark Hawkes ( mark.hawkes@somersetrfu.co.uk). Girl’s representative & development rugby at under 15 & U 18 level (the two recognised representative groups) are managed by age grade rugby. 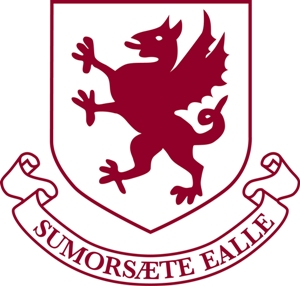 The contact for age grade is Jason Wheatley (jason.wheatley@somersetrfu.co.uk). Our community rugby section supports all club rugby. 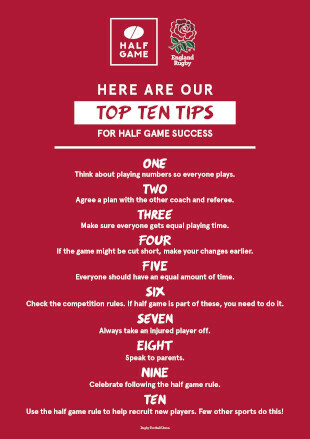 The RFU recommend that all clubs, schools and organisations that run rugby activity keep a record any incidents both on and off the pitch. On the pitch it is good practice to provide first aiders with a book in which to record incidents that required their attendance. The information kept can help identify injury and incident trends and possible areas for improvement in the control of health and safety risks. It can also be used for reference in future risk assessments. This record book is not the same as the statutory accident book required under the H&SAW Regulations, though the two can be combined. "Aims and philosophy for Senior representative rugby teams"
Selected from those eligible to represent the county at the highest level. Giving players who want the opportunity an environment which is special to play in with others and be the very best they can be whilst wearing the traditional "Hoops" of Somerset. This team is selected by county selectors who invite players to attend training, development sessions, watch them at the clubs they represent and subsequently choose a "first team" that compete in the county championship. For developing and emerging female rugby players, this team is open to all who want to be the best they can be and have a desire to represent their County. Players who are eligible and attend county development days and training sessions will have the opportunity to be selected to represent this side. A team that has no pressure other than that applied by the players themselves and one where all receive something new. A non RFU funded or pathway side. Players will however from this team have the opportunity to trial if selected at the RFU Senior Academy trials. A team that is open to all who want to be the very best they can be and have a desire to represent their County. Players who are eligible and attend "county development days" and training sessions will have the opportunity to be selected to represent this side. From February Touchline will exist entirely online, both in response to digital growth, with 54,000 online subscribers, and to economise on print, post and packaging. If you are not already subscribed, please use this link to register online. You will now receive Touchline direct to your inbox each month. Please stay among our readership and if you have any stories or suggestions of what you would like to see covered email the editor at patriciamowbray@rfu.com. Please follow the attached link to view how this year’s PFR funding is being utilised around clubs. Club spend analysis. 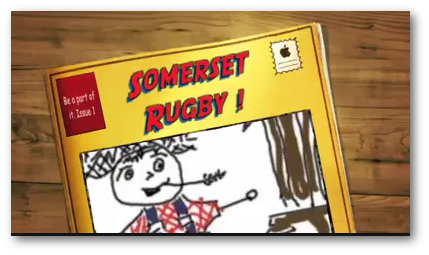 We have been asked by the Fostering Department at Somerset County Council to share a story about Fostering and Rugby. Please follow this link for the full story. Love it or hate it, social media is here to stay and everyone should understand its benefits and pitfalls. Somerset County Rugby Football Union (SCRFU) is keen to promote the safe, responsible use of this technology. 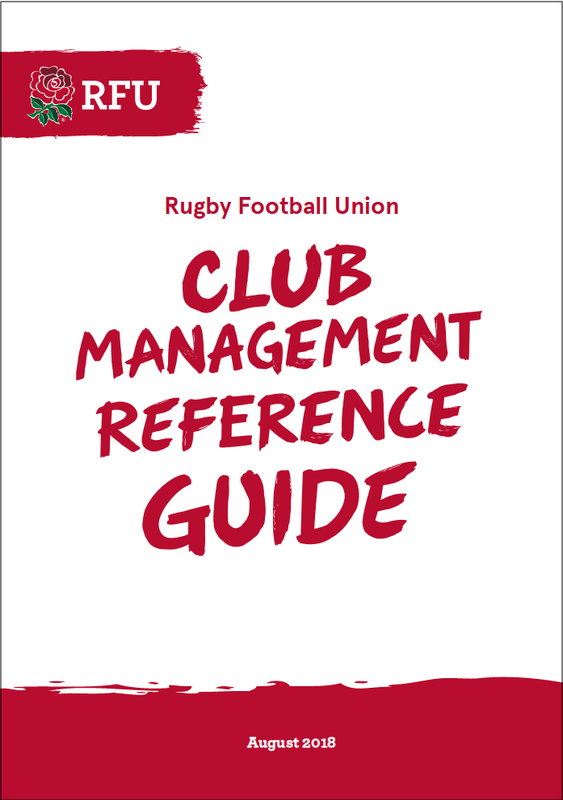 Together with making its members aware of the potential risks and to share best practice, SRFU has produced the following guidance which we believe will be of interest to experts and casual users alike. Click here to find out about the next steps for you to acquire funding for volunteer development AND further details for the Recruit & Retain Fund worth £250 for your club. A vidyo for all of ee out there . . . Coaches can have a massive impact on the development of players and the shape of the game of rugby. 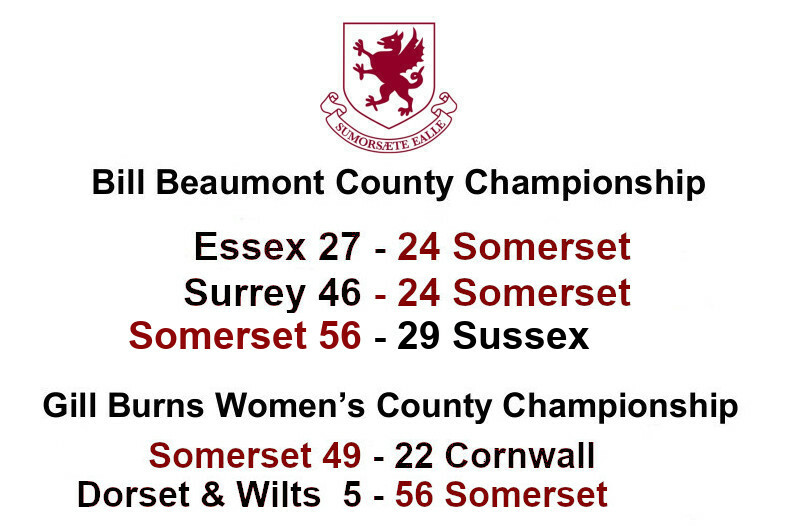 For many years Somerset County RFU have put out representative teams from U15 to 1st XV both male and female. These teams have been lead by volunteers from within the County. We are currently looking to add to these coaching teams in both the junior & senior sections. The county now has an on line kit shop so you can order directly through Webb Ellis. Training wear,replica shirts etc.